Officers have been working with the Premier League, EFL and individual clubs to enhance measures designed to keep supporters safe, and to raise and awareness of the threat from terrorism among club employees and supporters alike. 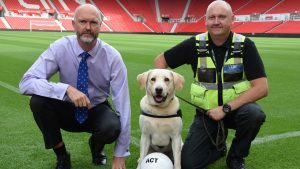 Other sports such as rugby, tennis and cricket have also been supporting the Know The Game Plan initiative, while former England internationals Alan Shearer, David Seaman and Paul Parker took part in a police Twitter campaign during the recent World Cup. 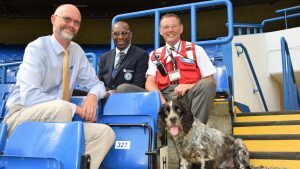 National Police Coordinator for Protective Security, Chief Superintendent Nick Aldworth says: “The chance of being caught up in a terrorist attack is low but we want the public to feel confident to come forward and report any concerns if they see something suspicious to matchday staff or police. “The more clubs encourage supporters to do this, the more likely they are to act on their instincts and not worry they might be mistaken or wasting time.